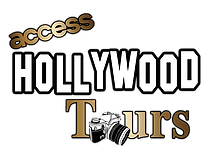 ​​​Q: Why should I choose Access Hollywood Tours? A: With Access Hollywood Tours you,re not on a huge bus, but on a smaller 9 or 13 passenger open-top bus. This allows you to converse with our tour guide and ask questions about the sights Los Angeles has to offer. A: The tour is scheduled for 2 hours. How long it takes mostly depends on traffic, but our objective is to have you back in no more than 2 hours. Traffic can be heavy on some parts of the tour, so on a rare occasion the tour might go over 2 hours. Q:​ Where do we pay and what do you accept? A: Online reservations can only be made up until 1 hour before the tour scheduled departure times. After that cutoff time, reservations can only be made by calling 1.323.472.7938. Q: How far in advance must we reserve? A: As soon as your plans are definite; but all customers are recommended to make a confirmed reservation at least 24-hours in advance to guarantee a seat. Q: What if I purchased my tickets from a third party vendor? Q: Do you use my personal informations? A: As we are aware of your privacy, the informations you give, including your email address, are used only for the process of your reservation and won't be sold or used for any other purpose. A: Yes,​ Parking is available on Schrader Blvd, parking can be between $10.00 - $15.00 for all day parking. A: Yes, Sit back and relax in our open top buses, we provide the must comprehensive narrated tour. Q: If I need to make changes or updates? A: If you have already made a reservation and need to make changes or updates, please call 2 hours in advance at 1.323.472.7938. Q. Can you pick up from my hotel/location? A. We do not offer any hotel pick up or drop off services. Guests are solely responsible for transportation to and from our location, 6541 Hollywood Blvd. Los Angeles, CA 90028. Q. Is gratuity included in the price? A. Gratuity is not included in the ticket price. It is customary to tip your guide if you enjoyed the tour. Q. Do I need a booster or car seat for my child? A. ​Yes, Children under the age of 9 or 40 pounds must be secured in a car seat or booster seat. California happens to be one of the states that does NOT make an exception. Proper safety seats are required. Access Hollywood Tours does provide car seats or booster seats for your love ones if needed, but we recommend customers to provide their own.